Choose from different ferry routes and travel times to see the harbour's beauty at any time of day! Step aboard the Star Ferry and get hit by a wave of nostalgia that takes you back to the 1920s. 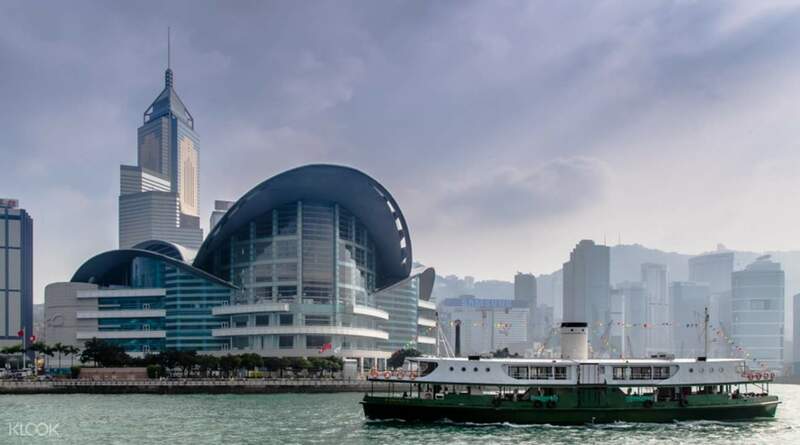 The "Shining Star" is a recreation of the old boats that used to sail along Victoria Harbour and was the main transport link between Kowloon and Hong Kong Island. 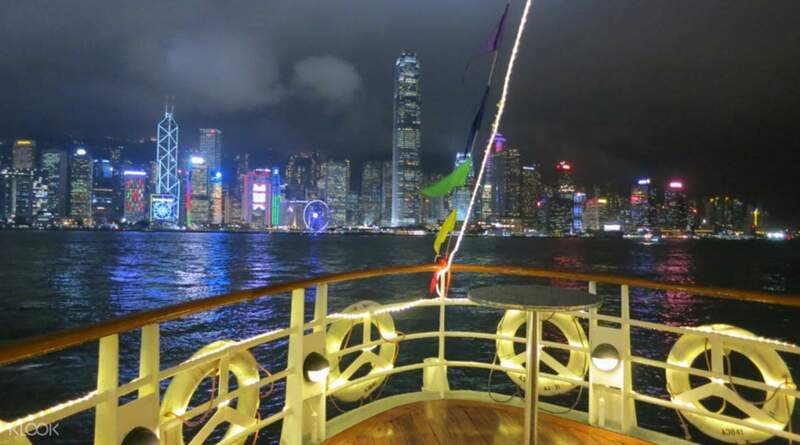 Choose from four different tours, the regular harbour tour during the day, the night tour to experience the cool air and city nightlife, the Tsing Ma Bridge Tour, or the ICC Lights Show and Symphony of Lights Harbour Cruise - get up to four different experiences aboard the Shining Star. 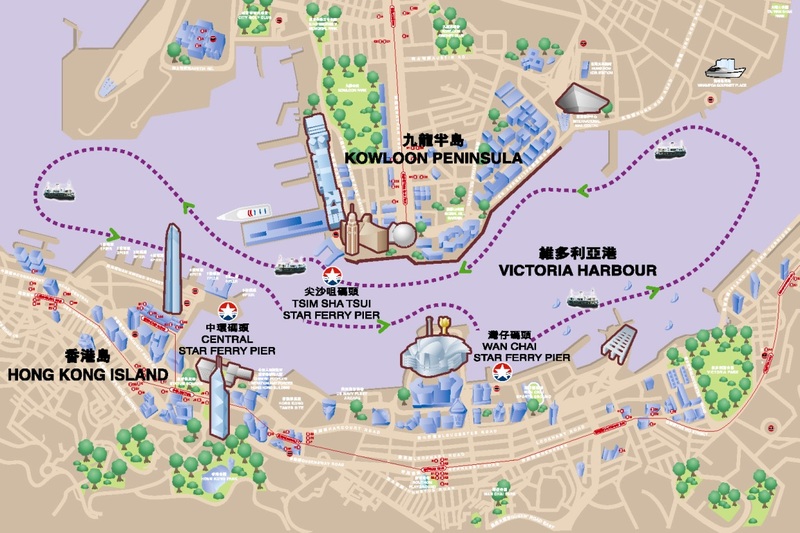 Once you're on the ship, turn in your voucher for a refreshment, then enjoy the views of Victoria Harbour, including popular attractions along the harbour - quite the trip down memory lane! 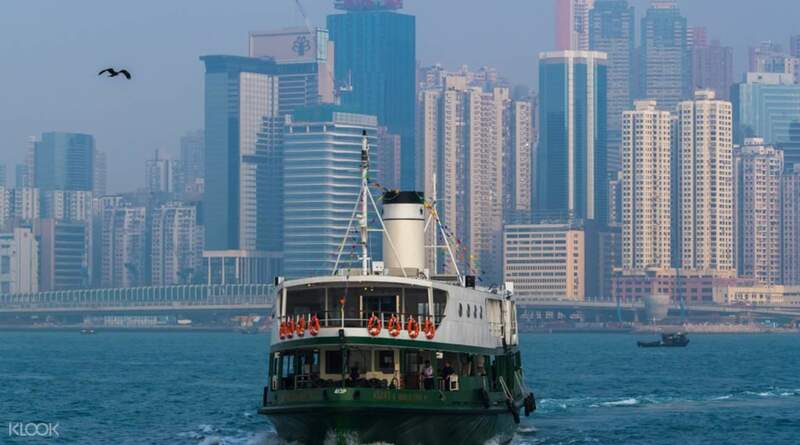 Step aboard the Star Ferry's Shining Star and get transported back to the 1920s! Very easy to find because we stay near the ferry harbour. Never thought it will be that easy to find by the subway tunnel. Have free complementary drink and cookies. The view is so beautiful at the night time. Very relaxing. The lighting and music is really amazing. Have to try night time with the music and lighting view at the star ferry harbour. Very easy to find because we stay near the ferry harbour. Never thought it will be that easy to find by the subway tunnel. Have free complementary drink and cookies. The view is so beautiful at the night time. Very relaxing. The lighting and music is really amazing. Have to try night time with the music and lighting view at the star ferry harbour. After having to walk and travel by foot around HK, this tour is really helpful to ease our mind and leg. It was very windy when we get on it. Luckily it didn’t rain. But if it’s raining by the time you want to go, it’s better if you wait for another trip. This is an open ticket after all. Had so much fun with this! After having to walk and travel by foot around HK, this tour is really helpful to ease our mind and leg. It was very windy when we get on it. Luckily it didn’t rain. But if it’s raining by the time you want to go, it’s better if you wait for another trip. This is an open ticket after all. Had so much fun with this! The exchange of the Klook vouchers at the Star Ferry Ticket Office was really easy, even hours before. So we could go for a walk before the cruise started. Not only did we get a soft drink, a box of bisquits too. Sweet! Best way to see the music and light symphony. The exchange of the Klook vouchers at the Star Ferry Ticket Office was really easy, even hours before. So we could go for a walk before the cruise started. Not only did we get a soft drink, a box of bisquits too. Sweet! Best way to see the music and light symphony. The star ferry harbour tour was very efficient, on time, and very clean. We found it on klook which made payment very easy. At the port terminal it was challenging to find the ticket counter and we went up and stood at the gate before we realised we needed to use the QR code at the counter. The ticket line was very quick. There is a lot to do around the terminal while waiting. Unfortunately the laser show was poor at beast. The star ferry harbour tour was very efficient, on time, and very clean. We found it on klook which made payment very easy. At the port terminal it was challenging to find the ticket counter and we went up and stood at the gate before we realised we needed to use the QR code at the counter. The ticket line was very quick. There is a lot to do around the terminal while waiting. Unfortunately the laser show was poor at beast. After a tiring day of touring, a 1-hour tour around the harbor is a great way to cap off the day. 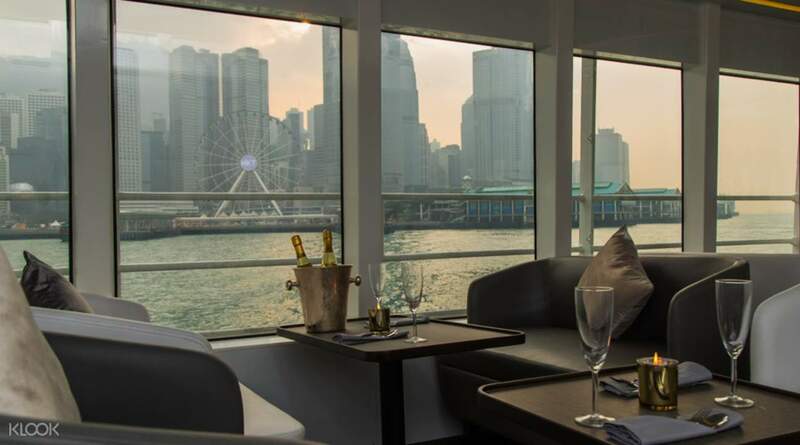 You can sit and relax as you watch the famous Hong Kong skyline pass you by. I suggest you book the evening tour because all the buildings at night are beautiful. After a tiring day of touring, a 1-hour tour around the harbor is a great way to cap off the day. You can sit and relax as you watch the famous Hong Kong skyline pass you by. I suggest you book the evening tour because all the buildings at night are beautiful. Ticket was easy to redeem and the personnel at the ticket redemption was very accomadating. Though it is only a one-hour trip, the trip was smooth and enjoyable. This is much cheaper than buying at the ticket counter. Free snack is also included. This is highly recommended to couple or family bonding. Ticket was easy to redeem and the personnel at the ticket redemption was very accomadating. Though it is only a one-hour trip, the trip was smooth and enjoyable. This is much cheaper than buying at the ticket counter. Free snack is also included. This is highly recommended to couple or family bonding. 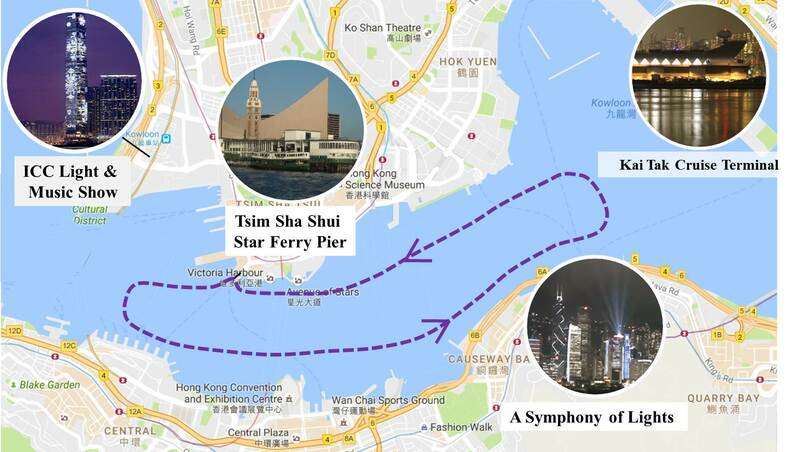 Light show is just okay but the sail with Star Ferry is great. The ferry is clean and tidy, even in the toilets. The complimentary snack is yummy and there's plenty of selection for the drinks. Worth recommending to try but don't expect too much on the light show. Just enjoy the ride and the snacks. Light show is just okay but the sail with Star Ferry is great. The ferry is clean and tidy, even in the toilets. The complimentary snack is yummy and there's plenty of selection for the drinks. Worth recommending to try but don't expect too much on the light show. Just enjoy the ride and the snacks. We present the voucher at the ticketing booth in exchange for the tickets. Expect a long queue, so better be on time, probably 15 min. before the scheduled time so you can choose the best seat. We enjoyed the whole trip and you will have free snacks on board. Hong kong is mesmerizing at night. If you have seasickness better to take meds so you will enjoy the whole journey. We present the voucher at the ticketing booth in exchange for the tickets. Expect a long queue, so better be on time, probably 15 min. before the scheduled time so you can choose the best seat. We enjoyed the whole trip and you will have free snacks on board. Hong kong is mesmerizing at night. If you have seasickness better to take meds so you will enjoy the whole journey.